Alia Bhatt plays a cinematographer in the film industry. Her career is in Mumbai but she is from Goa. Her problem is that she moves from relationship to relationship but shirks away from commitment because of past psychological issues. Alia really likes Kunal Kapoor and he proposes to her but because of her issues she misses the bus- she rejects him and by the time she realises her mistake it is too late. This and the problems with the landlord of the house she stays in force her to shift back to Goa, where her parents try to fix her match with various boys without success because her personal issues are with them. But by chance she meets Shah Rukh Khan who is a psychologist. He helps her deal with her past and look at life with a new perspective. He changes her relationship with her parents as she begins to look at them in a new light. Many of her therapy sessions with Shah Rukh occur in the outdoors and even those in the indoors mesmerise Alia so much that she again falls in love. Acting is nice by everyone, especially by Alia, SRK and her best friend (Yashaswini Dayama). Because of the semi-westernised settings many of the dialogues are in Hinglish (mixture of Hindi and English). It is the kind of movie that will be liked more by the women, though men won’t mind sitting with them. 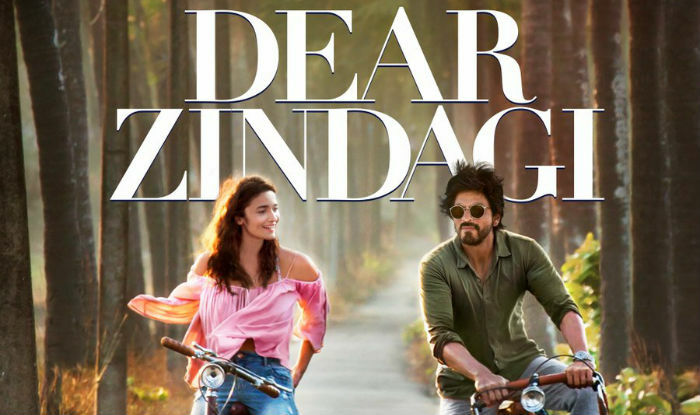 Songs and music is decent and photography is OK. Alia looks cute while SRK looks mature and wizened with a beard. Some of the conversations between Alia and SRK are endearing and the moments of bonding with Yashaswini are really cuddly. All in all, a decent movie. I will give three stars out of five. Women will give more. Commitment phobia generation needs to trust their parents and learn less from the fake love gurus like Khans.